Dr. Ken Kronhaus - What's the Best Way to Stop Smoking? 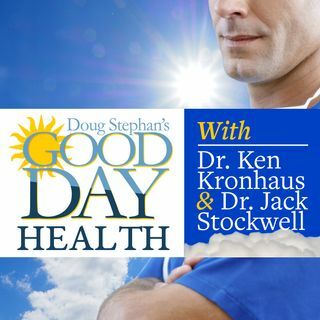 Dr. Ken Kronhaus presents news to Host Doug Stephan that a Hostile Marital Environment can lead to Leaky Gut Syndrome. There's also news that bacteria from your mouth may cause problems for your lungs. Do you know about Phantom Odor Perception? New Brain Stimulation Devices can help with OCD and Depression? The benefits of Breast Feeding can reduce your risk of Stroke, after Menopause. More bad news about E-Cigarettes: They can damage your DNA, and so far, there is no proof that they help ... See More you to stop smoking. Dr. Ken tells you the very best way to quit. Finally, the dilemma of too many carbs and too few carbs are both bad for you.